Two years after the Civil War, Lydia Albright, 27, is an established teacher in Boston when she senses God’s call to leave the comfort and security of her job and go south. She accepts a position to teach in a school for former slaves in Charleston, South Carolina. A church there that’s affiliated with the American Missionary Association offers support, along with room and board at the parsonage. The Ku Klux men are hell-bent on seeing that the new school fails. Lydia’s life is threatened, and the parsonage, church, and school are vandalized. But they haven’t contended with a strong, determined woman like Lydia before. It also helps that she has a couple potential suitors on her side. 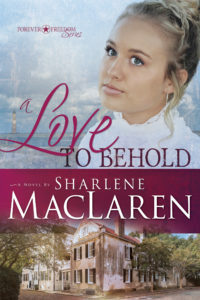 A Love to Behold is a tale of people who grow strong in the face of adversity and a church that learns love, compassion, and acceptance, even in the face of just cruelty and hatred. My Thoughts: This is more than just a charming romance novel. It is the story of a young woman determined to answer God's calling on her life and nothing will stop her from doing so. This is also a novel teaching us to love one another no matter what our differences may be. This is a story about compassion, determination, acceptance and overcoming affliction hen it is presented to us. It's holding on through the storm. I really truly enjoyed this novel. The characters were all amazing, both the main and the supporting characters all worked well together. The storyline was fast-paced; there are no slow spots in this book. Born and raised in west Michigan, Sharlene MacLaren attended Spring Arbor University. 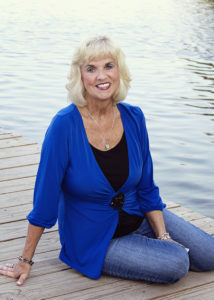 Upon graduating in 1971 with an education degree, she taught second grade for two years, then accepted an invitation to travel internationally with a singing ensemble for one year. In 1975, she came home, returned to her teaching job, and married her childhood sweetheart. Together, they raised two lovely daughters, both of whom are now happily married and enjoying families of their own. Retired in 2003 after thirty-one years of teaching, “Shar” loves to read, sing, travel, and spend time with her family—in particular, her adorable grandchildren! A Christian for over fifty years, and a lover of the English language, Shar always enjoyed dabbling in writing. She remembers well the short stories she wrote in high school, and watching them circulate from girl to girl during government and civics classes. “Psst,” someone would whisper from two rows over, always when the teacher’s back was turned, “pass me the next page.” In the early 2000s, Shar felt God’s call upon her heart to take her writing pleasures a step further, and in 2006, she signed a contract for her first faith-based novel, Through Every Storm, thereby launching her writing career. With eighteen published novels now gracing store shelves and being sold online, she daily gives God all the glory. She dedicated her last novel, Their Daring Hearts, to Jesus. Shar has done numerous countrywide book signings and made several television appearances and radio interviews. She loves speaking for community organizations, libraries, church groups, and women’s conferences. In her church, she is active in women’s ministries, regularly facilitating Bible studies and other events. She and her husband, Cecil, live in Spring Lake, Michigan, with their beautiful white collie, Peyton, and their ragdoll cat, Blue. Shar loves hearing from her readers. If you wish to contact her as a potential speaker for a church function or would simply like to chat with her, please feel free to send her an e-mail at sharlenemaclaren@yahoo.com. She will do her best to answer in a timely manner. You may also find her on Facebook. It's great that you liked the characters. I just read a book where the main character was very unlikable; it was hard for me to finish.